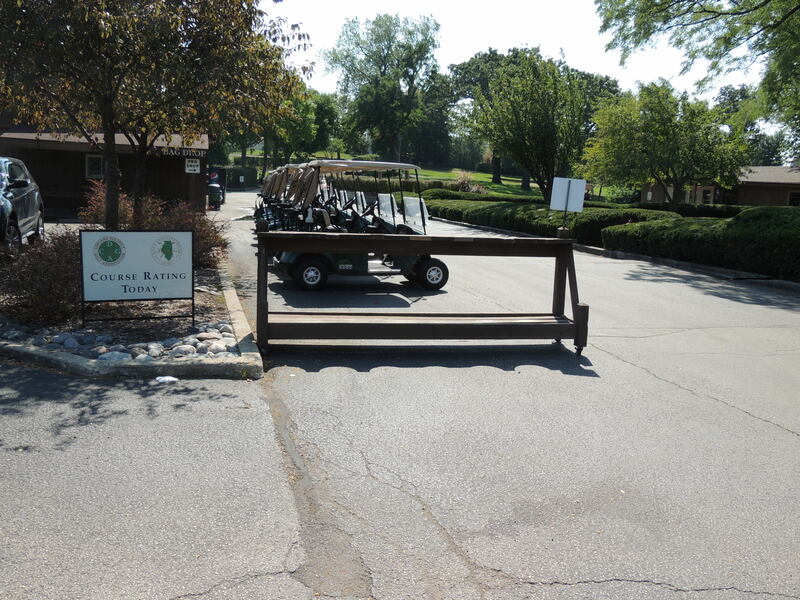 The last time the CDGA (Chicago District Golf Assoc.) Rating team visited Hilldale was in 2005. Well, they were here again last Thursday and it was a pleasure to have them. Not a lot has changed with the golf course since the 05 visit, so I don’t expect any dramatic changes to our course rating or slope this time around. Currently, Hilldale is rated/slope for Blue tees:71.6/135, White tees:69.4/130, Gray(Senior)tees:67.6/126, and Red(Ladies)tees:70.5/128. I will update you with any new information coming from this year’s CDGA rating when I receive it. It’s shaping up to be a nice weekend around the Chicago area..albeit more like autumn. Hi temps are only supposed to be in the upper 60’s tomorrow (9/8), and lower 70’s on Sunday (9/9). We only received about .1″ of rain this morning after last night’s forecast predicted as much as 1.5″ for the northwest suburbs. We’re going to need some of those heavier rain totals before we can even think about putting an end to this drought. The 2x weekly irrigation cycles I mentioned in the last update will obviously continue for awhile. We will begin some aerification (Oh no! That dreaded word) next week. The plan is to only work on tees/fairways..one or two per day, until the end of the month. At that point we’ll consider doing some greens, but remember, we only aerify half of each green at one time. The second half will not be done until the 1st half has had time to heal. We’ll give plenty of advance notice through the website and proshop (847-310-1100 ext.27) prior to any aerification work. This entry was posted on Friday, September 7th, 2012 at 5:00 pm and is filed under Uncategorized. You can follow any responses to this entry through the RSS 2.0 feed. You can leave a response, or trackback from your own site.